Spring’s here and we’ve some exciting news to share with you about what’s being planned for the 2019 St Ives September Festival. This year the St Ives September Festival runs from the 14th to the 28th September and will feature an enticing programme of more than 300 different events, so mark your diaries! If you’d like to get tickets to see some of the fantastic acts that are playing this year, now’s the time to take advantage of the tremendous music we’ve got on offer. 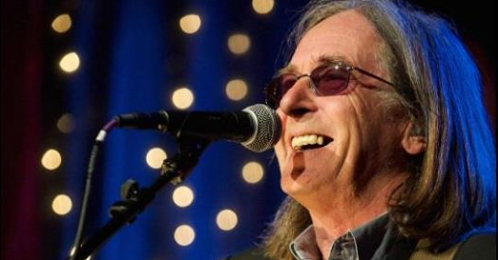 Headlining the opening night at St Ives Guildhall is folk legend Dougie MacLean, who wrote the Scottish ‘anthem’ Caledonia and music for the film ‘Last of the Mohicans’. Dougie sold out the Guildhall at his previous St Ives Festival appearance seven years ago, so if you’d like to see him play this year, now’s the time to grab a ticket. Festival patrons Show of Hands have sold out The Royal Albert Hall four times. They’ll be a red-hot ticket for the final night on Saturday the 28th when they’ll have 40 special guests in the form of The Lost Sound Dartmoor Folk Choir. It promises to be an amazing evening and tickets for this are already selling so don’t miss out. Iconic Irish band Dervish have played festivals from Rio de Janeiro to Glastonbury. They’ve also toured with the Irish President and struck up tunes on the Great Wall of China. They’ll be headlining The Guildhall on Friday, September 20th and have sold out at the Festival before. If you don’t want to miss them, book your tickets here. BBC Radio 2 Folk Award winner Sam Kelly, who brings his band The Lost Boys to The Guildhall after fronting The Changing Room there two years ago. Kit Hawes and Aaron Catlow, described as ‘reminiscent of Martin Carthy and the late Dave Swarbrick’ by Radio 2 Folk Show host Mark Radcliffe. West Cornwall folk duo Katie Kirk and Rick Williams are stepping up for a Guildhall debut after selling out the Arts Club last year. Cornishman Geoff Lakeman, father of the famous family folk dynasty, will follow in the footsteps of his sons Seth, Sam and Sean and top the Guildhall bill at this year’s Festival. The Sandy Acre Seven will be playing The Guildhall on Sunday 22nd September. They’ll have your feet misbehaving from their first number to the last and there’s no doubt this enormously popular group will be filling the dance floor. The St Ives Theatre will host John Otway and Wild Willy Barrett, self-styled “father of grunge folk”, still going more than 40 years after appearing on the Old Grey Whistle Test. The Western Hotel will be the Festival’s jazz centre, with more acts to be announced for the upstairs room, while ARKangel have shows at the Arts Club, which will host an extensive and varied programme of Festival events, including the ever-popular five-night film season, and the Mariners Gallery. Bob Devereux will again host his traditional Norway Square open-air lunchtime music and poetry sessions every day of the Festival and there will be an extensive programme of free music in St Ives’ pubs every night plus opportunities for Festival visitors to perform. As well as another big Open Studios line-up, don’t miss the chance to snap up a bargain at Spot the Artist where the keenest buyers queue overnight for first pick at the annual charity art sale. Porthmeor Beach will once again host a pit-fired ceramic demonstration and you can get your hands dirty at various participatory painting and pottery workshop events throughout the fortnight. There’ll be more announcements made soon and our new website is now live so have a look to keep in touch. You can also follow the Festival on Facebook, Twitter and Instagram for all the latest news. Tickets for all events will be available throughout the Festival website, online at www.crbo.co.uk and from tourist information centres throughout Cornwall. Looking forward to seeing you in St Ives for the 2019 September Festival. P.S. We’re building our team of volunteers this year, especially around social media. If you’re handy with being online and would like to be involved, please get in touch with us. We’d love to hear from you.